The Main Library in Frisco has two meeting rooms available for reservations. To reserve a room or for questions, call 970-668-2956. Download and complete the application and review Meeting Room Policies for County Commons. Events that would like to serve alcohol must submit this application to request approval from the County Manager’s office. 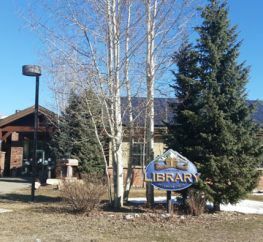 The North Branch Library in Silverthorne has one room available for reservation. To request a room reservation or if you have any questions, please email nblmeetingrooms@summitcountyco.gov or call 970-668-4280. Download and complete the application and review the Meeting Room Policies for North Branch Library. Events that would like to serve alcohol must complete this application to request approval from the County Manager’s office. 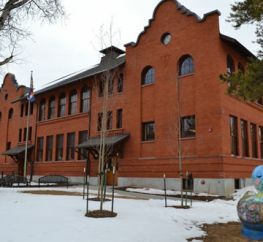 The South Branch Library in Breckenridge has three meeting rooms and a kitchen available at an hourly rate. View our fee policies. To request a room reservation or if you have any questions, please email sblmeetingrooms@summitcountyco.gov or call 970-453-3544 and ask for a meeting room manager. To begin the process, download and complete the application and review the room policies. To request approval for alcohol use at your meeting or event, download the alcohol use form. For more information about using the meeting rooms and their various devices, you may refer to our Meeting Room Help Document. 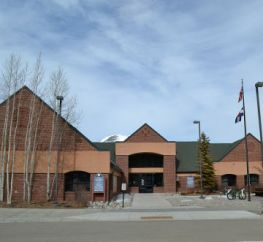 The South Branch Library also has three Study Rooms that can be reserved free of charge for a maximum of 3 hours per day and reserved on the same day or one day in advance. To reserve a study room, call 970-453-3544.